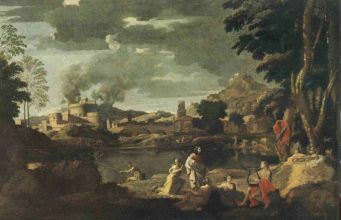 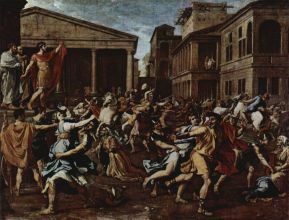 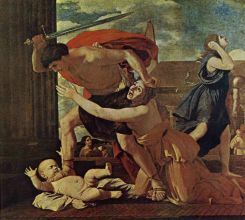 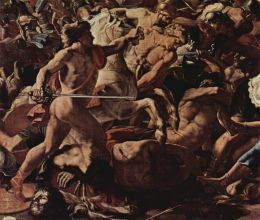 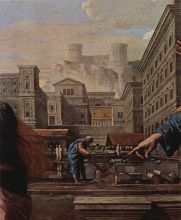 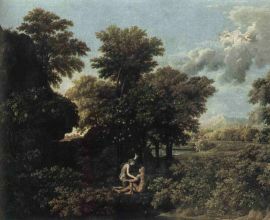 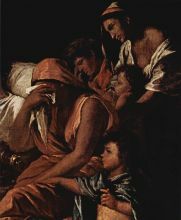 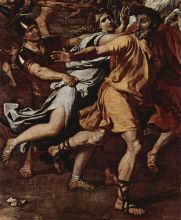 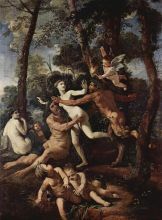 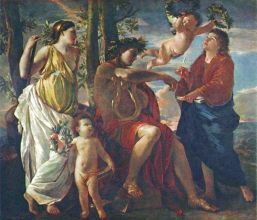 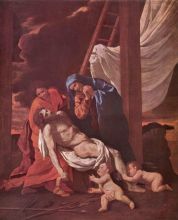 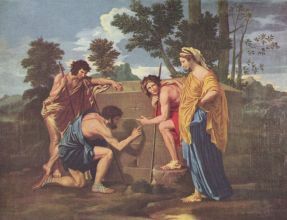 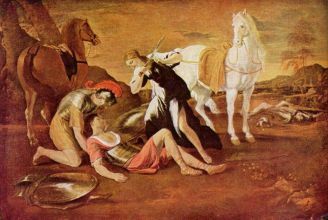 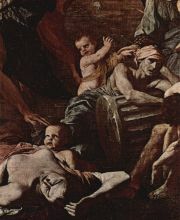 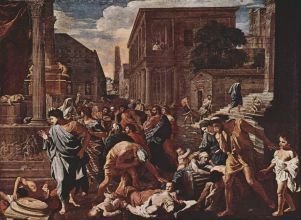 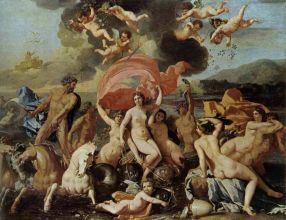 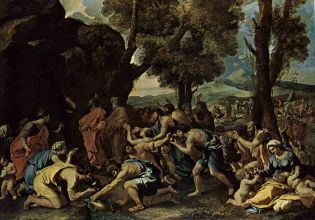 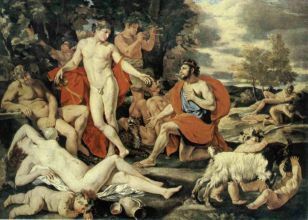 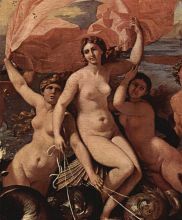 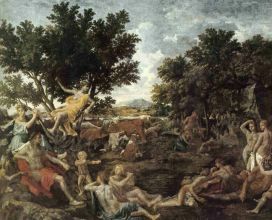 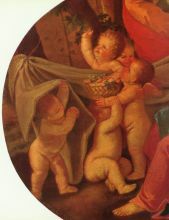 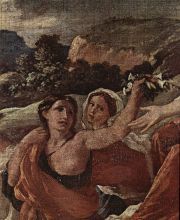 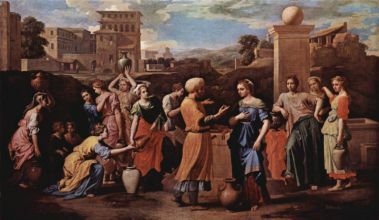 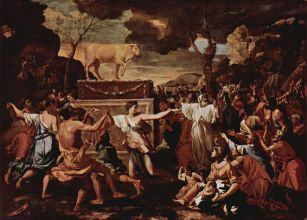 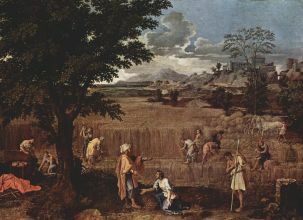 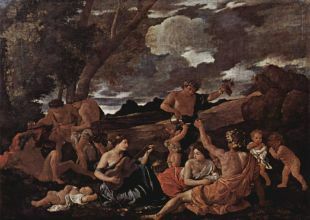 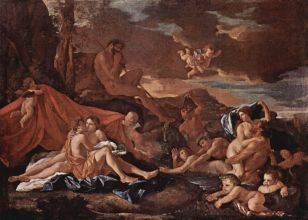 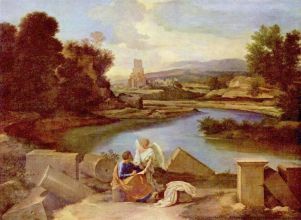 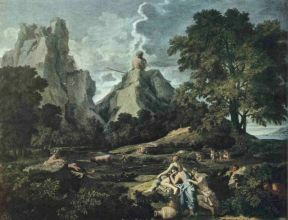 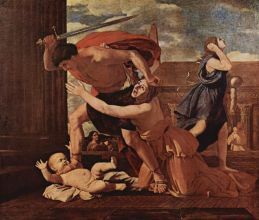 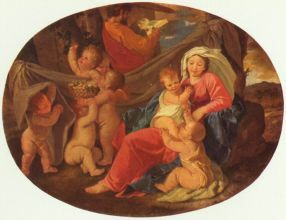 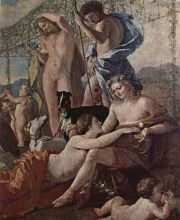 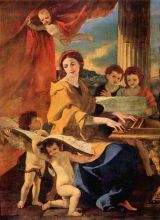 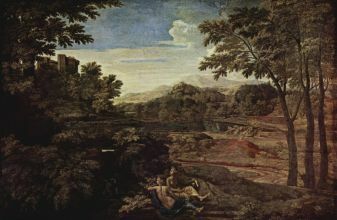 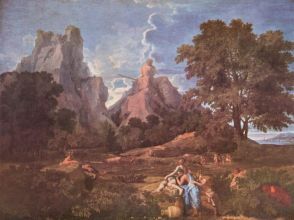 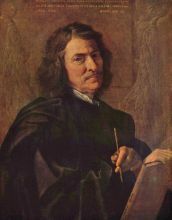 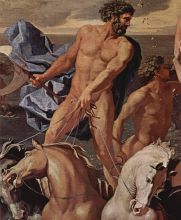 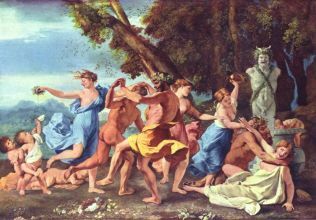 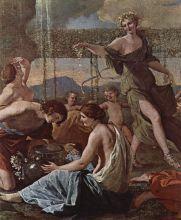 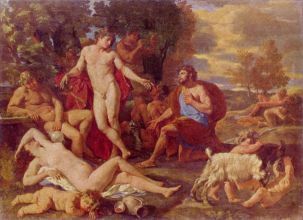 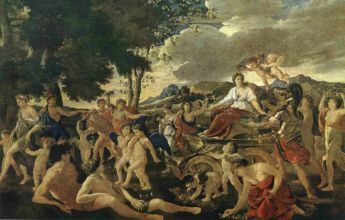 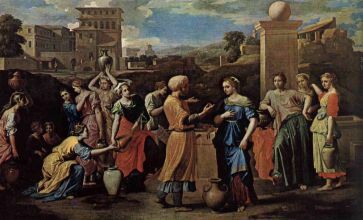 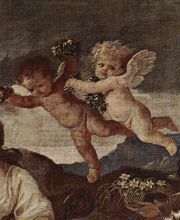 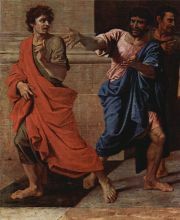 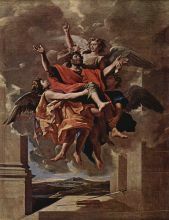 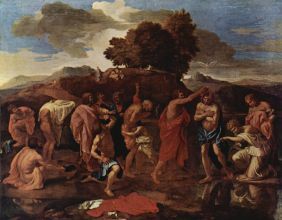 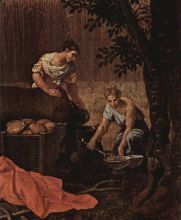 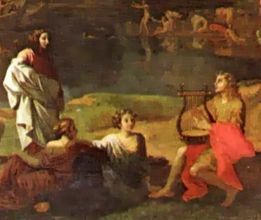 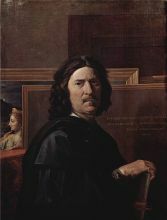 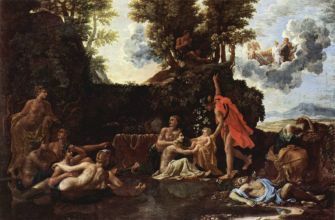 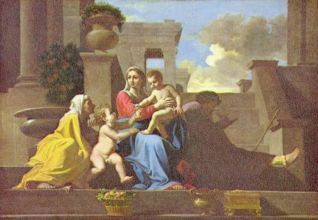 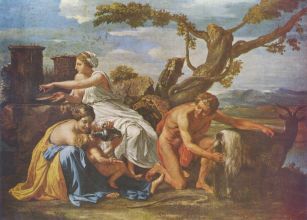 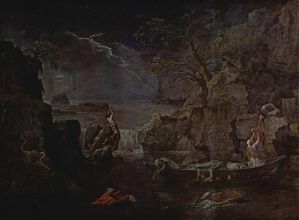 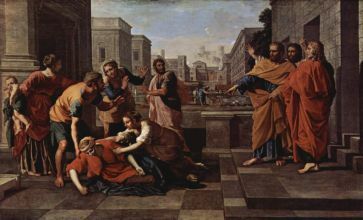 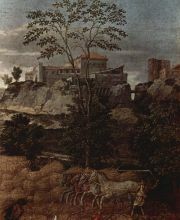 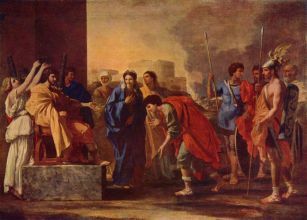 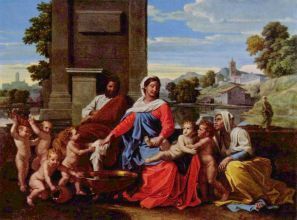 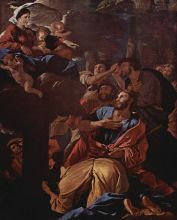 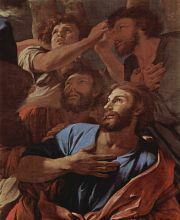 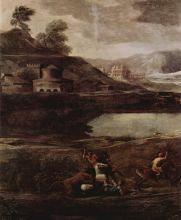 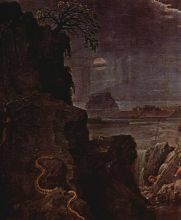 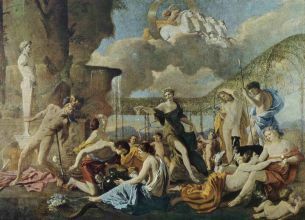 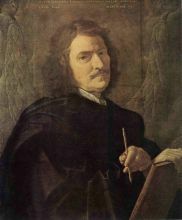 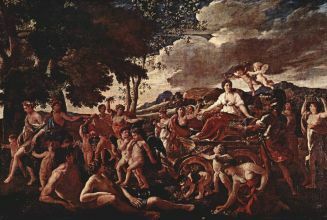 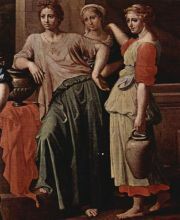 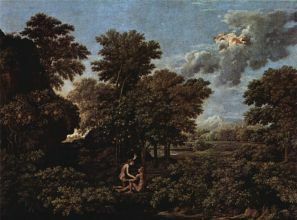 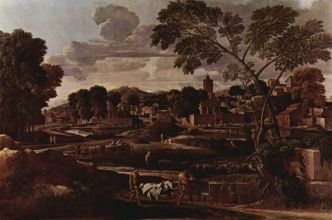 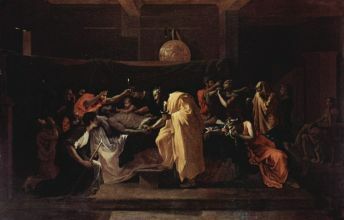 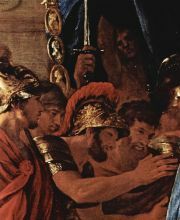 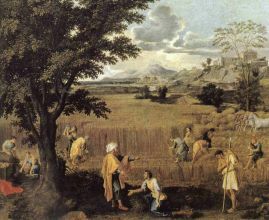 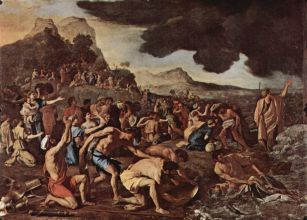 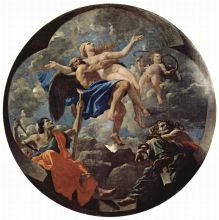 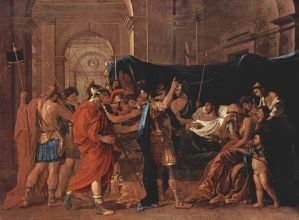 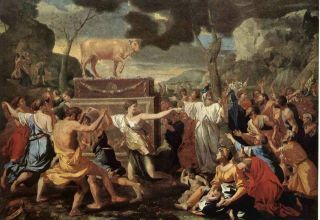 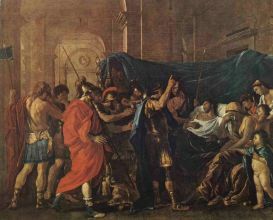 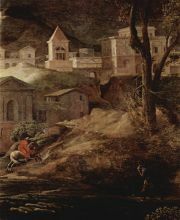 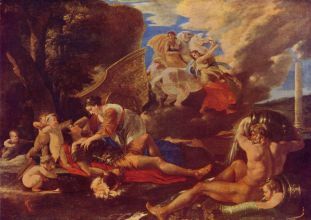 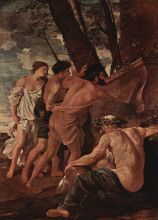 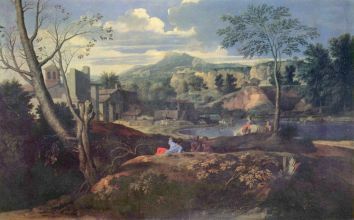 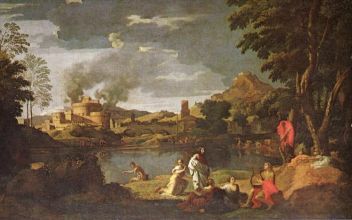 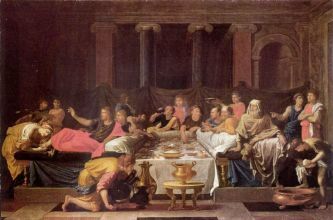 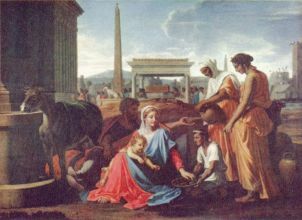 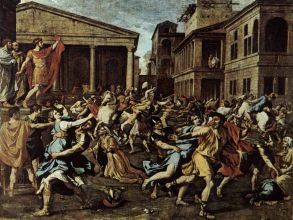 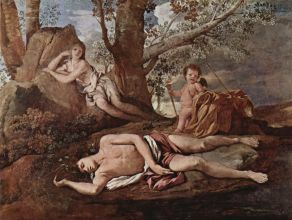 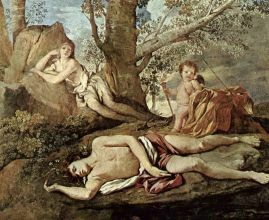 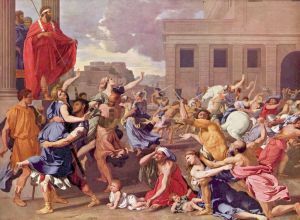 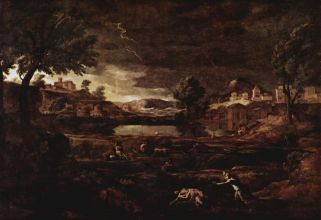 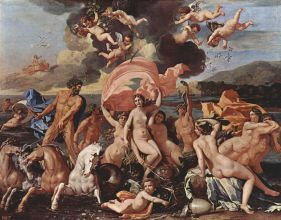 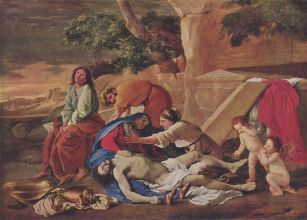 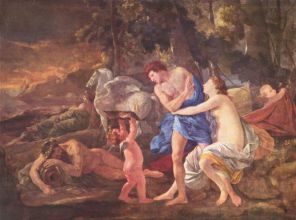 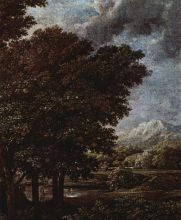 Nicolas Poussin (15 June 1594 – 19 November 1665) was a French painter in the Classical style. 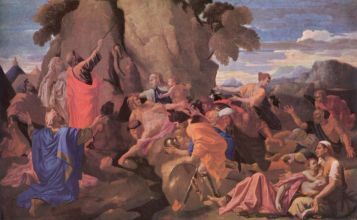 His work predominantly features clarity, logic, and order, and favors line over color. 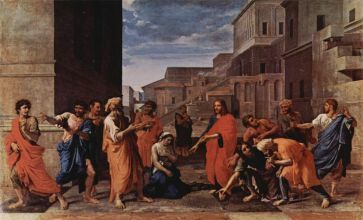 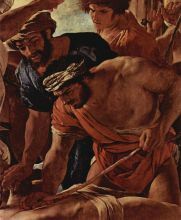 Until the 20th century he remained the dominant inspiration for such classically oriented artists as Jacques-Louis David and Paul Cézanne.